When Universal Pictures' The Boss hit theaters back in April, it not only marked the return of Melissa McCarthy to the big screen, alongside her husband and director Ben Falcone, but it also brought two of HBO's biggest stars together. 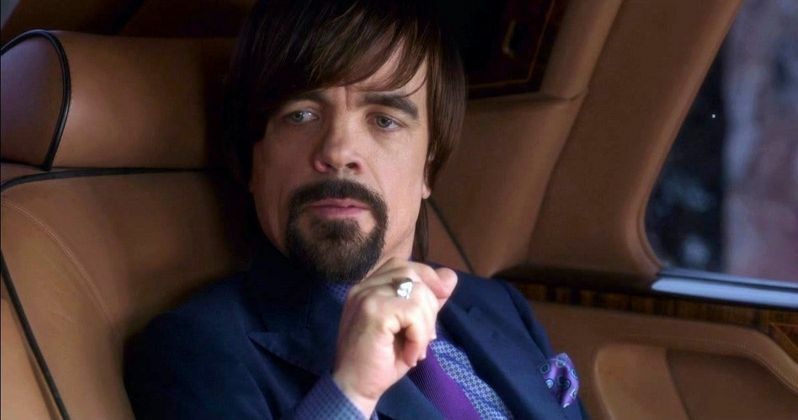 Game of Thrones' Peter Dinklage starred as the villainous Renault and Veep's Timothy Simons as his associate Stephan. Now that this comedy has debuted on Blu-ray, DVD and Digital HD this week, we have an exclusive preview that showcases the comedic rapport formed by these beloved actors. Writer/actor Steve Mallory reveals on this video that both Peter Dinklage and Timothy Simons had never met before working on this movie, but their chemistry was instantaneous. Timothy Simons says that nothing you try will ever throw Peter Dinklage off his game, while we see some behind-the-scenes outtakes of both characters in action. Academy Award-nominated Melissa McCarthy (Bridesmaids, The Heat) takes charge in the outrageous, hilarious new comedy The Boss, from Universal Pictures Home Entertainment. The Blu-ray, DVD and Digital HD feature even more fun and hilarity with deleted scenes, extended scenes, a gag reel, and alternate ending not seen in theaters! The Blu-ray™ and Digital HD also feature even more extras including an exclusive look at Melissa's original 2005 comedy performance as Michelle Darnell at the world famous Groundlings, the act that brought The Boss to life! Melissa McCarthy stars as Michelle Darnell, a titan of industry who is sent to prison for insider trading. After doing her time, Michelle emerges, ready to rebrand herself as America's latest sweetheart, but not everyone she steamrolled is so quick to forgive and forget. With nowhere to go and no one to scam, Michelle is forced to move in with former assistant Claire (Kristen Bell) and her young daughter, Rachel. Now at her lowest point, Michelle wastes no time in devising a winner-take-all plan to rebuild her empire. Can she reclaim her status as the No. 1 screwer, or will the love of one family screw her for good? McCarthy and Bell are joined by an all-star cast including Peter Dinklage (Game of Thrones), Kathy Bates (American Horror Story, Tammy) and Cecily Strong (Saturday Night Live). The Boss also features cameos from some of Groundlings' favorite graduates including Michael McDonald, Steve Mallory, Ben Falcone, Damon Jones and more. Take a look at our exclusive preview for The Boss before picking up this comedy on Blu-ray, DVD or Digital HD.